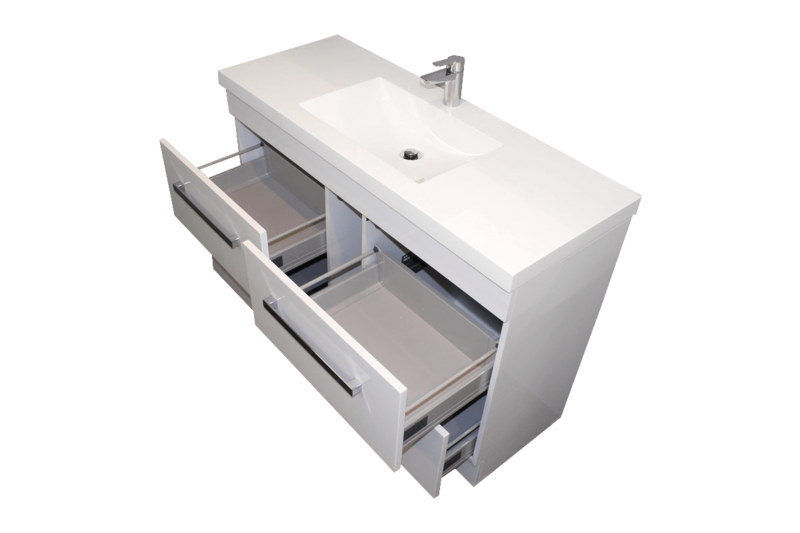 The Floor Standing Strata Quad 1200mm is a well built Floor-Standing Vanity with 4 soft close Drawers. 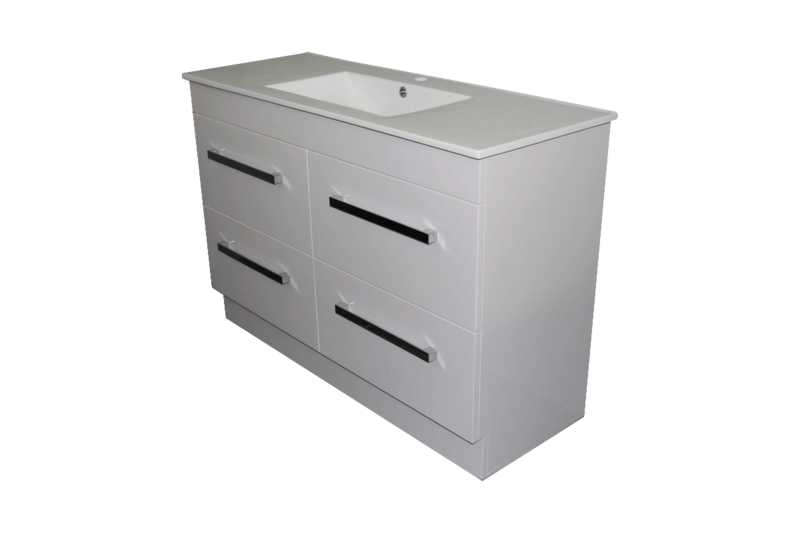 It is a Modern 4 drawer vanity giving plenty of storage space, with a choice of 3 different stylish vanity tops. 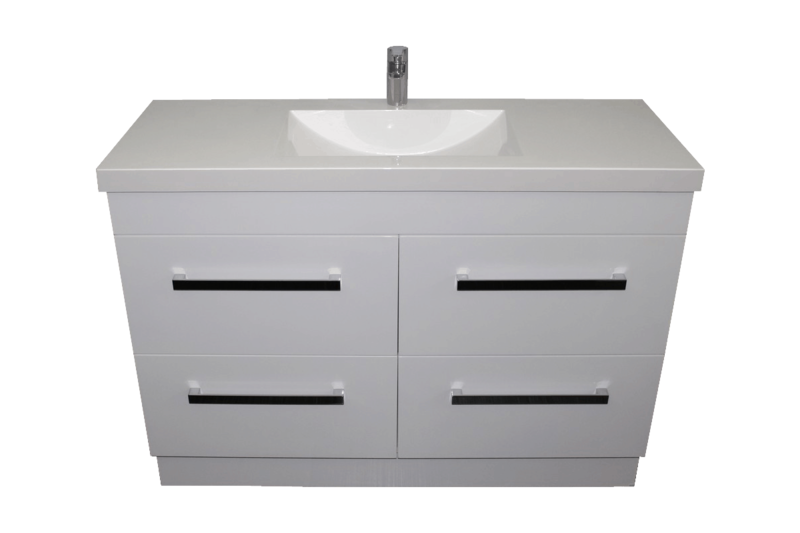 * Please note supplied with no pre-drilled tap holes as you have the choice of either 1 or 2 taps. 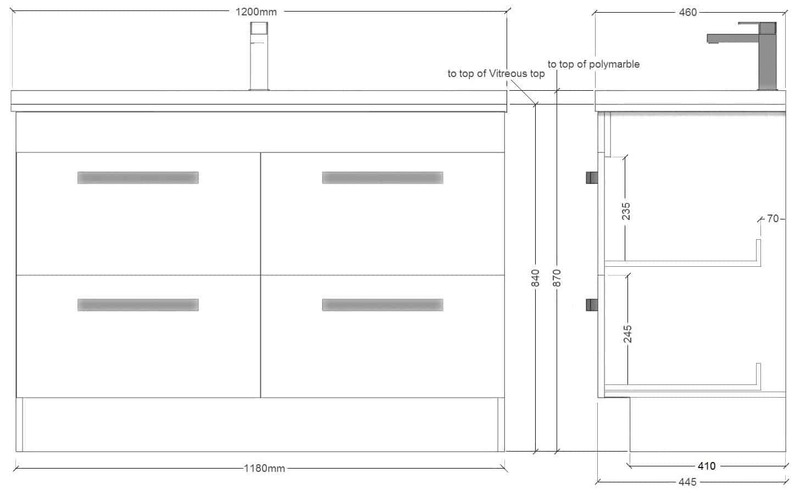 Plumbers have the required hole saw.